DESTINATION: Valkenswaard, The Netherlands, with a stop at Konigshoeven Abbey. This route is very flat, with a total elevation change of about 520 feet (158 meters) spread over the whole distance. The route is very straightforward and there is little chance you’ll take a wrong turn. Today we’re riding to Valkenswaard, NE…a good stopover town near the Achel Abbey. 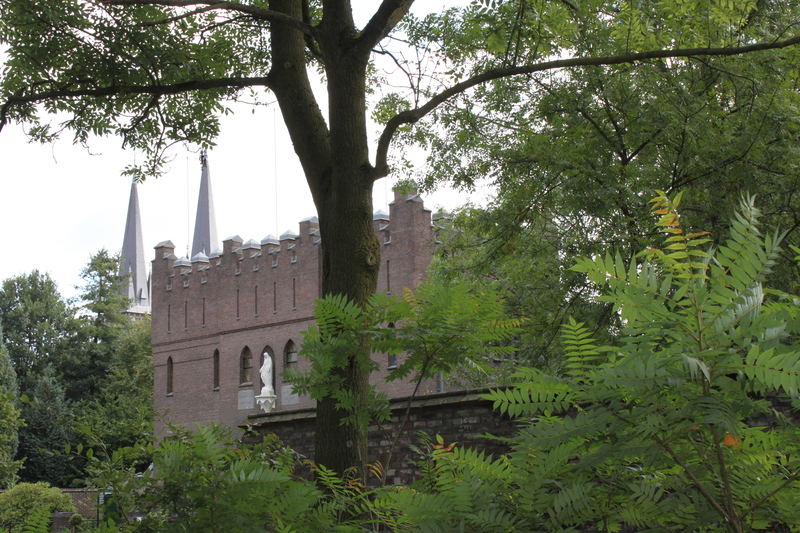 On our way out of Tilburg, we stopped at our second Abbey, Abbey of Our Lady of Konigshoeven. This abbey is home to Brewery Konigshoeven, brewers of La Trappe beer, and currently the only Trappist brewery in The Netherlands! The main gate into the Abbey of our Lady of Konigshoeven, home of Brewery Konigshoeven, makers of La Trappe beer. Despite sleeping in, we arrived 30 minutes before the cafe officially opened, so we took the time to ride around the surrounding countryside. Turns out, these monks are really into cows and corn. 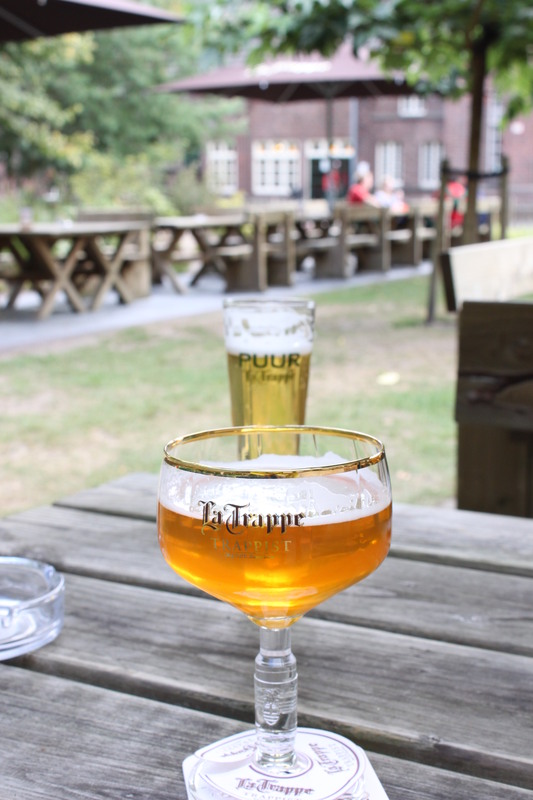 The La Trappe Cafe sits inside the Abbey walls, and you get a nice view of the Abbey as you sit in the garden and enjoy your delicious beers. In retrospect, this will turn out to be one of the most commercialized abbey cafes, but the grounds are beautiful and the beers aren’t too bad either! La Trappe also produces the only Trappist made bockbier. I was really looking forward to trying this one and I was not disappointed. After a few beers, we hopped on the bike and peddled 20 miles to Valkenswaard. Travel Tip – The Netherlands and Belgium shut down on Mondays. In a bigger town or city, there will be a few restaurants open, but it’s hard to find a cheap meal.